Be lucky you don’t have a kid in basktball with morning practices. I think this is the only one this week as the next two days are afternoon practices. Normally I don’t mind getting up this early but the past two days of practice have been hard. Yesterday Lori and I drove down to the storage units and did our best to find 4 Christmas boxes full of stuff. Then we headed home for me to watch the second half of the Bronco game while Lori went to Beaver Creek to pick up Jag from the ski races. Then we grabbed Ty and headed out to find our tree. 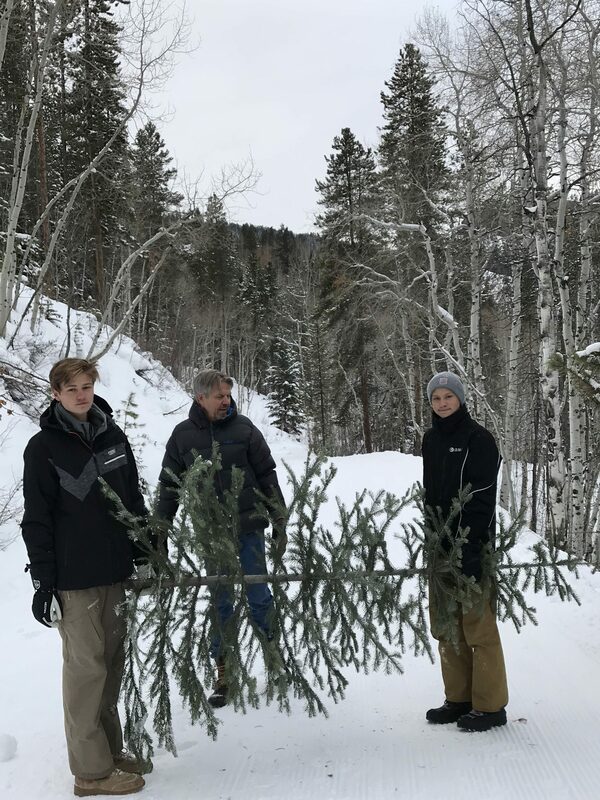 We had to hike up a road to get into the White National Forest to find the perfect tree. 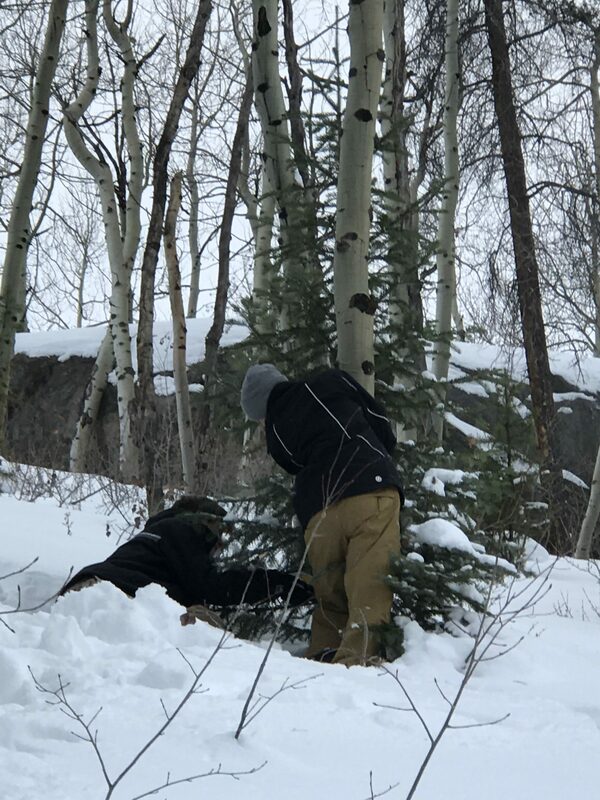 Once we spotted it the boys crawled up a steep slope to cut it down. This may be the best tree we’ve ever had. We or I should say Lori, managed to get lights on it last night but we’ll need decorate it tonight. I’m off to Denver to go to the warehouse and then get Jag some new basketball shoes. If he gets three practices in before Thursday they have a 3 day tournament in Keensburg which is in the northeast part of the State. We’ll see. With Lori gone that’d mean it’d just be Ty and I Thursday, Friday and half of Saturday. Maybe we can hit the mountain and getn some fresh tracks in. Time to get moving, have a great week, take care and be safe, GB.